Come and join us for this HUGELY POPULAR event ! 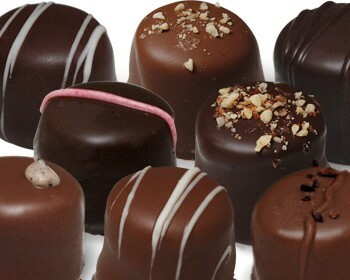 For only $30, you get a tasting of 6 of our wines paired with 6 handmade truffles from Brugge Chocolates in Redmond. AND you go home with a box of the 6 chocolates, and you get $15 credit towards any wine purchase. WHAT A SWEET DEAL ! Click to BUY TICKETS IN ADVANCE as they sell out quickly..